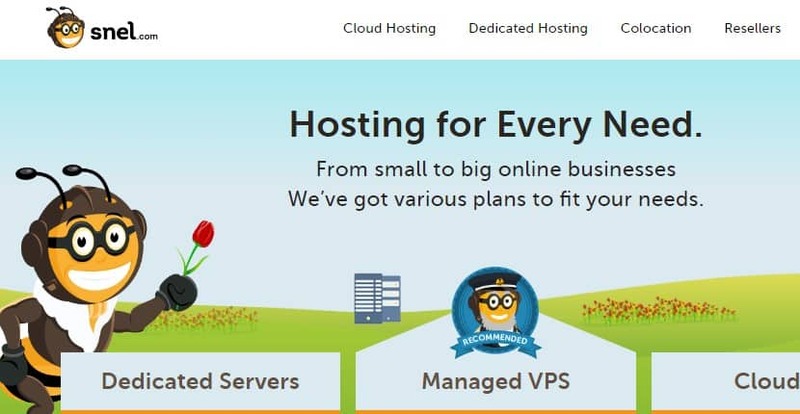 Snel Review 2019: Is Snel a Good Hosting? Snel is a web hosting company located in Schiedam, the Netherlands that offers small, medium and big online businesses high-quality web hosting solutions. The web hosting provider believes in providing smart, simple, and flexible hosting solutions in the Netherlands and beyond. Though Snel has not been in the website hosting niche as long as most of its competitors, it has nevertheless created a name for itself as the premier web hosting vendor in the Netherlands and other Europeans countries. Snel’s dedicated servers are fully customizable, making them ideal for complex online databases and high-traffic websites. The company prides itself on providing dedicated servers hosting, Managed VPS hosting as well as Cloud VPS hosting. All the three hosting options have the capacity to handle as much as 100TB of traffic. Snel was founded in 2010 and is located in Rotterdam in the Netherlands. Their website is available in both Dutch and English. Proactive monitoring – Snel has put in place extensive safety measures and proactive server monitoring to reduce the vulnerability of their clients’ servers. SSD Only drives – Snel uses SSD only drives in all its servers for faster I/O performance. In addition, all its cloud servers use the latest generation Intel Xeon processors. Affordability does not always have to mean poor quality. Few hosting solutions demonstrate this better than Snel. While practically all three packages are pocket-friendly, they are also some of the most powerful and effective in the Netherlands. Snel.com does not have free web hosting, but given their reasonable pricing, it makes sense to consider trying their hosting solutions. The lowest priced package is the Cloud VPS solution while the highest priced option is Dedicated Servers. Snel takes support very seriously. The company’s commitment to ensuring that every one of their customers receives uninterrupted, stress-free hosting experience is steadfast. However, they don’t have 24/7 support. Instead, any query you send will be responded to during the working hours. That said, the support team is polite, well-informed, and extremely patient and helpful. However, while the process of upgrading your hosting package is quite straightforward, the process of downgrading is somewhat unclear, sometimes requiring users to call support for help. But given how helpful their support team is, calling them will most definitely be a delight. When we called them (during business hours) via the phone number they provided, it took us less than a minute to get in touch with someone from their support team. However, perhaps because we had sent an email in the wee hours of the night, it was not until the next morning that the vendor responded to our email. Nevertheless, the email response was a comprehensive, almost a step-by-step guide to help us resolve the situation. Snel uses advanced technologies to provide unmatched web hosting services to companies in the Netherlands and the rest of Europe. It’s unrelenting commitment to excellent services has endeared it to many people looking a powerful platform through which to run a full-fledged online business. Wondering how Snel stacks up against other Web Hosting companies? Enter any other Web Hosting company and we will give you a side-by-side comparison.